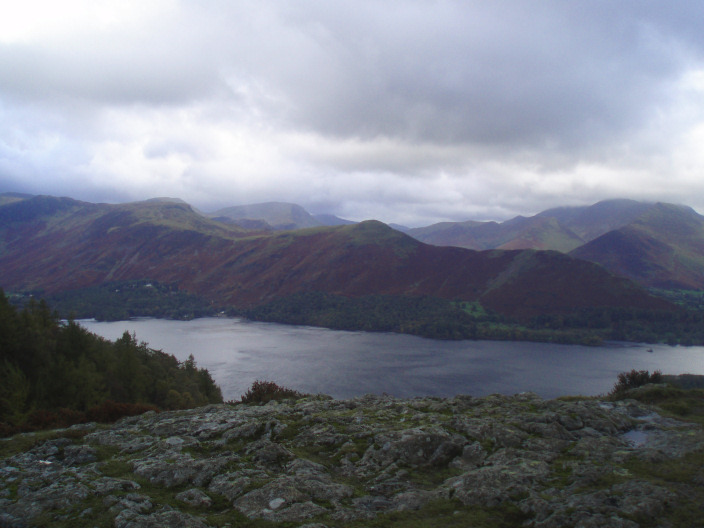 With gale force winds forecast for the tops of the fells we set off today fully prepared to turn back if the winds became too strong. 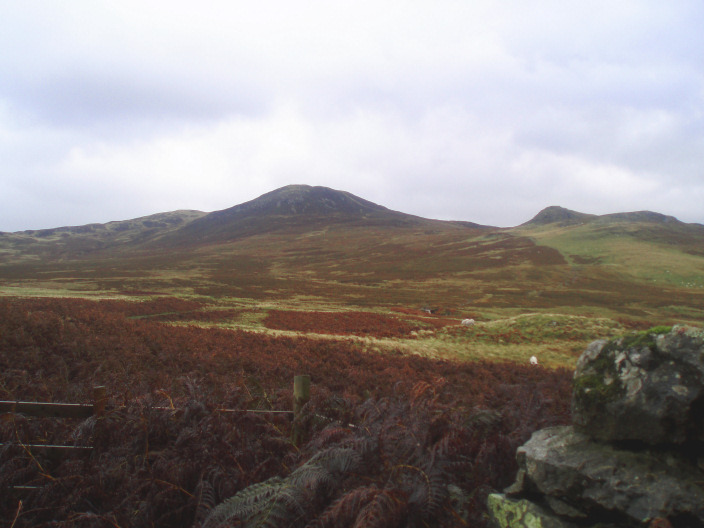 When we reached the summit of Bleaberry Fell we were just about able to walk in the wind and decided to give up on reaching High Seat and instead dropped off the top, out of the wind, to make a slow return across the fell to Walla Crag. Weather: Very strong winds and plenty of showers. 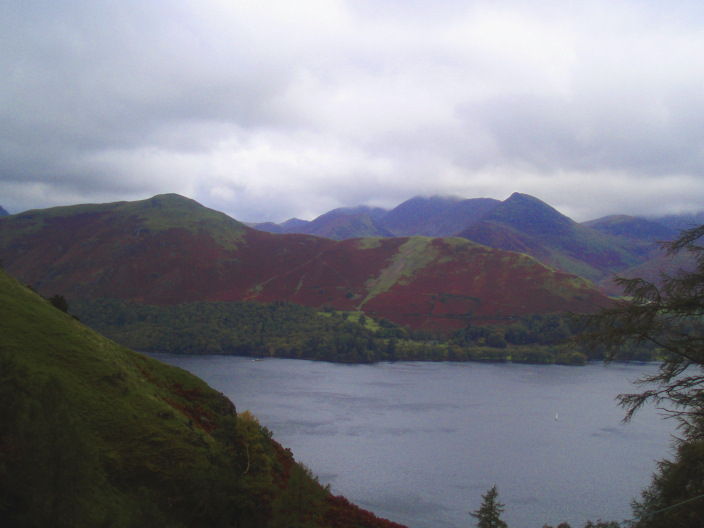 Looking across Derwent Water to Catbells from the ascent to Walla Crag. 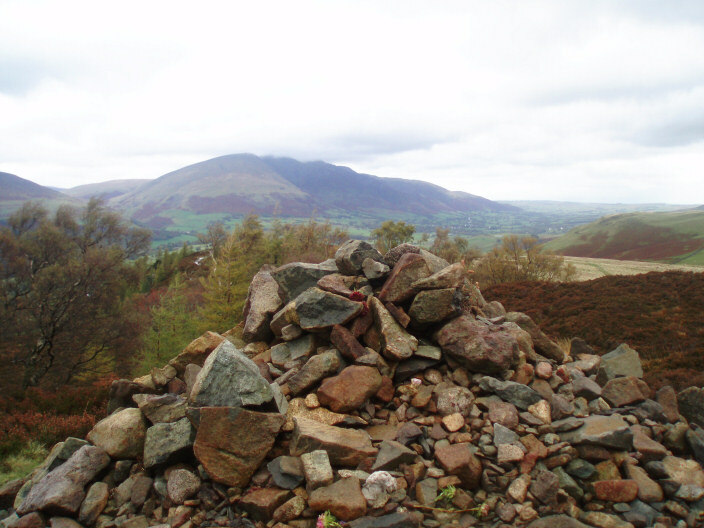 Blencathra only just in cloud from Walla Crag's summit. Dodd's summit lit up by the sun. 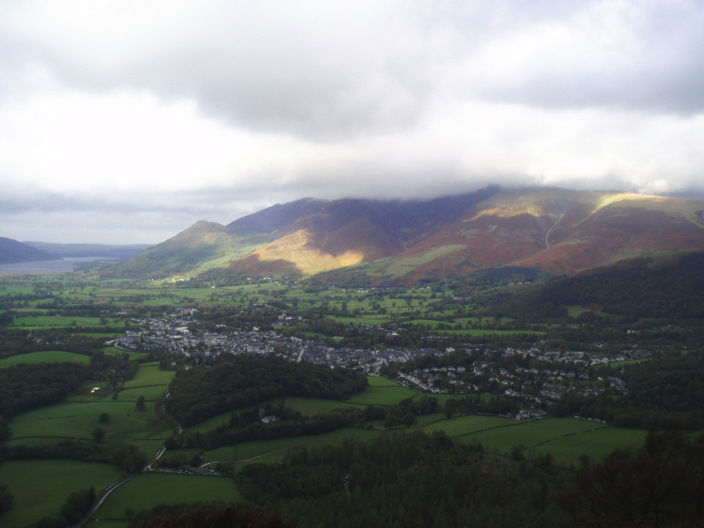 Across Keswick the Skiddaw Massif has its tops in the cloud. 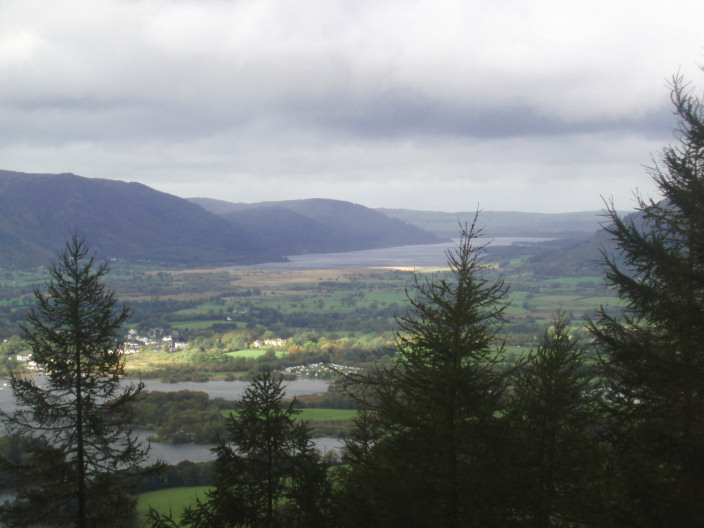 Bassenthwaite Lake with the Winlatter fells to its left. 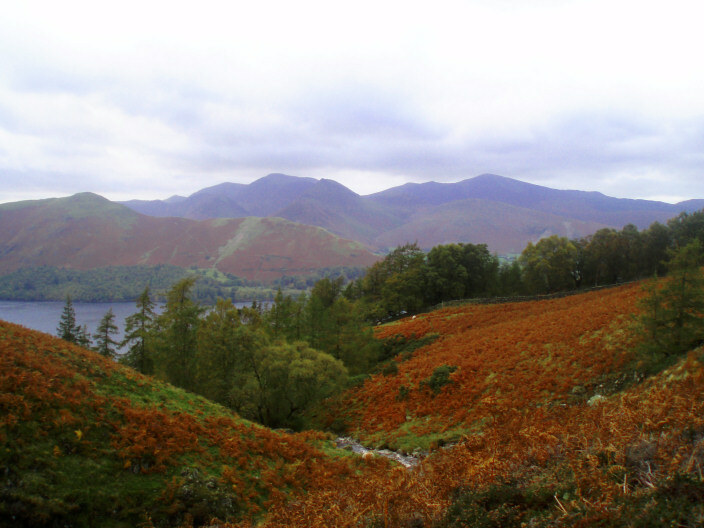 Robinson is visible behind Maiden Moor and Catbells. 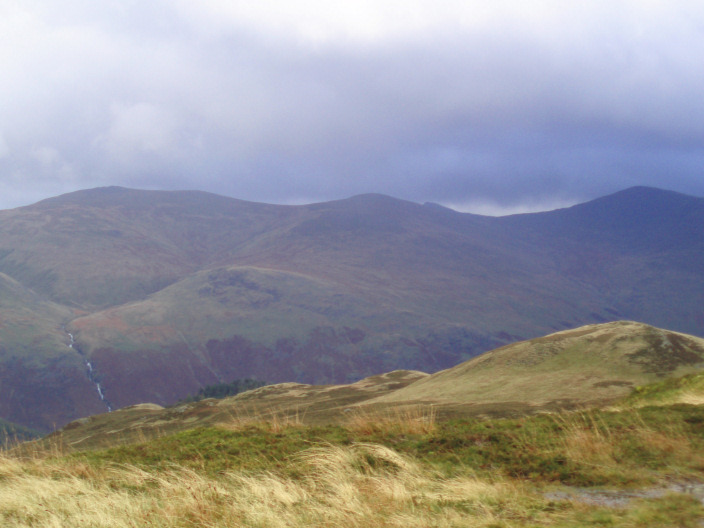 Looking across to the Helvellyn Massif from Bleaberry Fell's summit shelter. 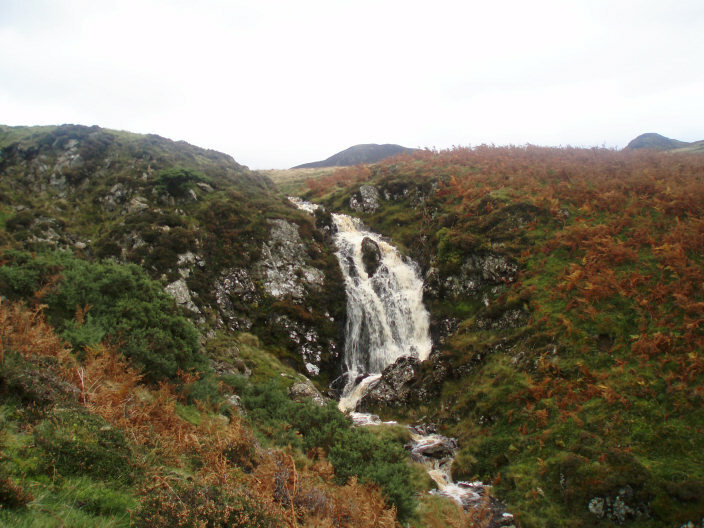 One of the falls on Cat Gill. 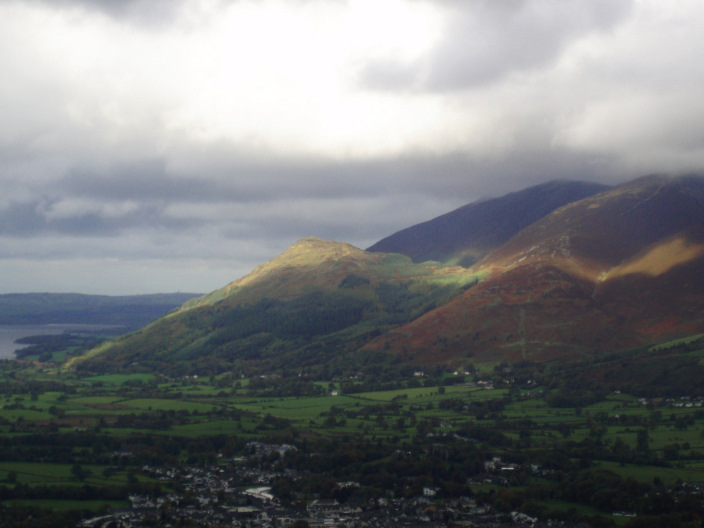 The North Western fells clear of cloud.